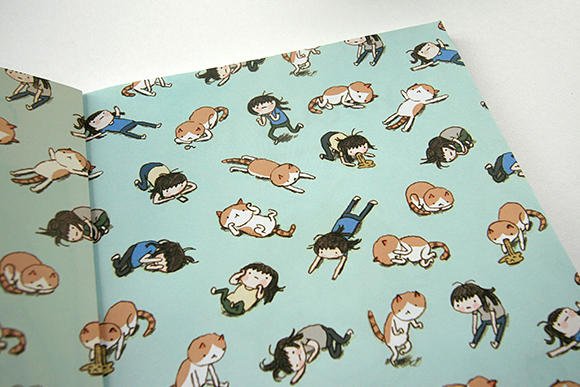 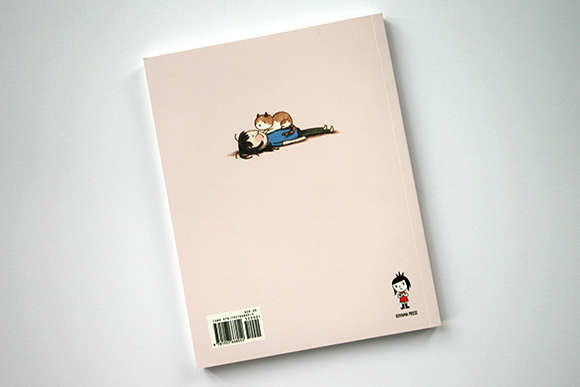 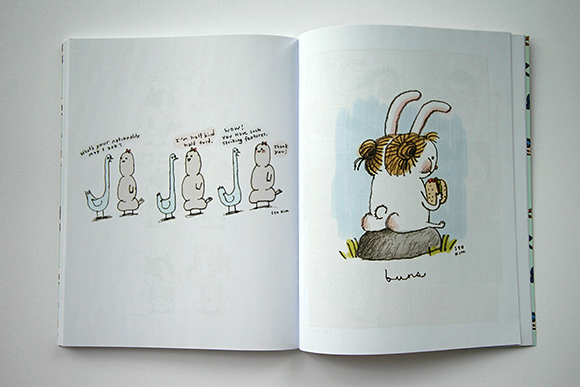 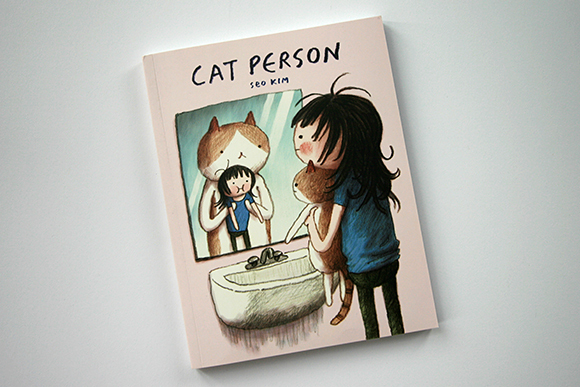 Cat Person is a collection of comics by cartoonist Seo Kim. 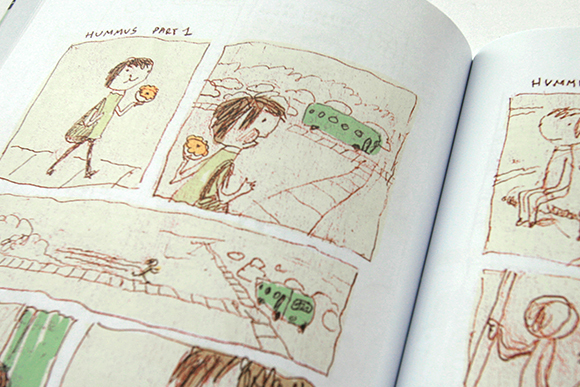 Begun as a personal challenge to create daily, the comics feature a variety of themes from the silly to the serious. 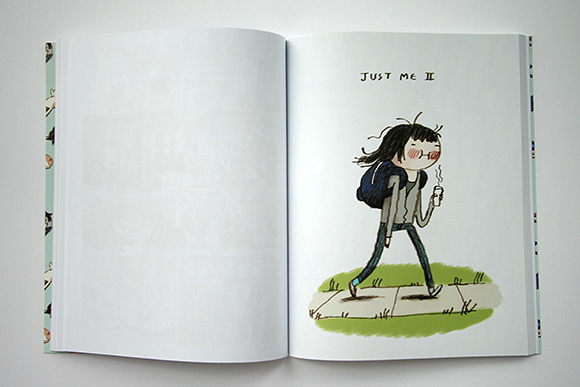 Characterized by a charming drawing style and frequently featuring the cartoonist and her farcical feline Jimmy, these are the best Sunday comics you’ve never seen. 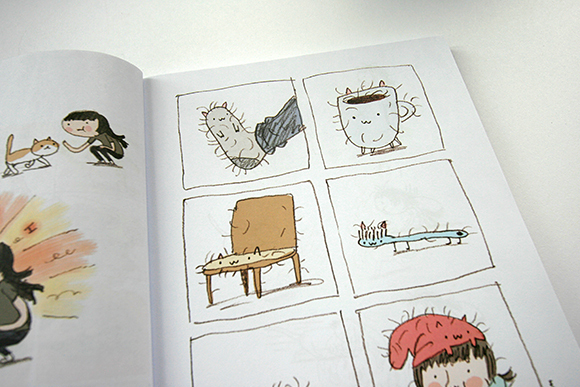 Seo Kim was born in Seoul, Korea, and then immigrated to Toronto, ON just a few months later. 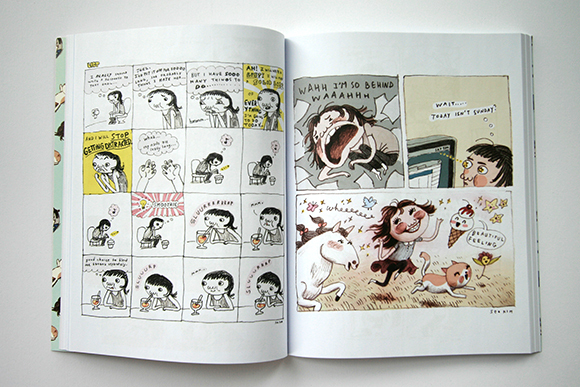 Kim currently lives in Los Angeles and works as a storyboard artist for the massively successful Cartoon Network show, Adventure Time.